Everyone has something that they love to do, right? A hobby, passion or past time that they find themselves completely lost in doing. For me, perhaps unsurprisingly, it’s photography. I could never get tired of it. For the subject of today’s portrait it’s music. Making music to be specific. I can’t play an instrument but I know for sure that I couldn’t live without music. Listening to music is something we can easily take for granted. There’s a song for every mood, for every taste and for every emotion. Music can be shared with people or enjoyed just as much alone. It lifts us up, comforts us and reflects our daily lives. Can you even begin to imagine your life without music? I suspect that when someone can create music, they must have an even deeper connection to music. 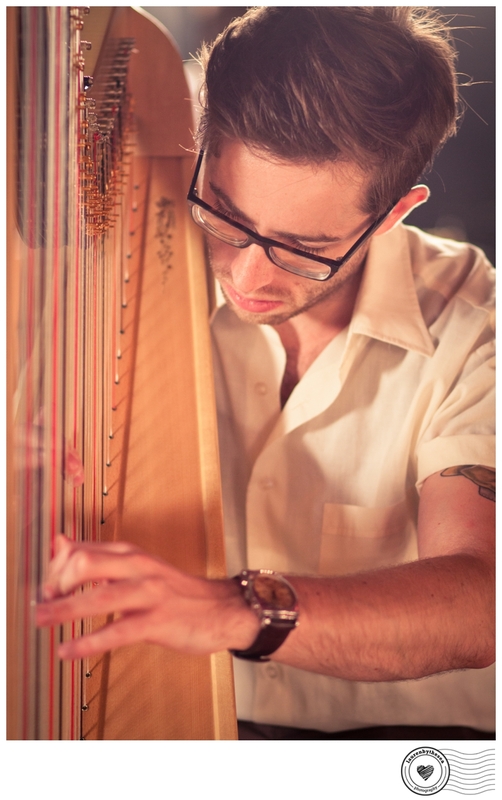 I know that much is true for harpist Alex Thomas, who was featured earlier in The Portrait Diaries (here). This portrait of Alex is from a different shoot, where I photographed behind-the-scenes of a music video he was featuring in as a guest musician with the fantastic band A Lily. Check them out as the music is so so beautiful! It was an amazing day that maybe I’ll share more of later but this is one of my favourites. I love the calm but concentrated expression on Alex’s face. He is lost in his element. What’s your passion? Share in the comments section below.